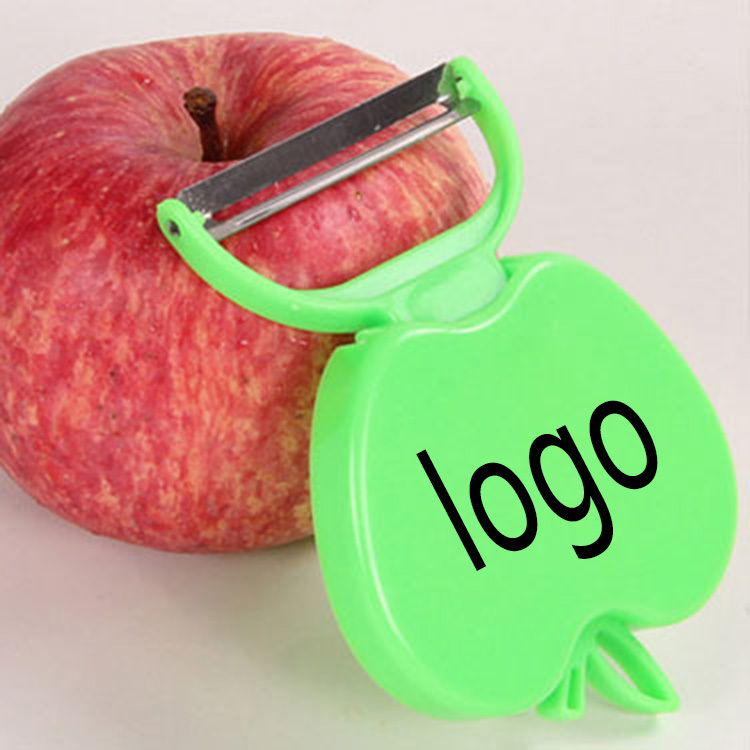 This apple shape fruit peeler is foldable so you can conveniently folded it when not use it, and apple shape is good for you to put it in your palm when use it. Custom logo can be imprinted with all colors. Package: 1 pc/opp bag, 2000 pcs/ctn, 53 lbs/ctn.